A man who distributed drugs across Forth Valley has been jailed. At Lanark High Court yesterday, Craig McEwan from Tullibody was sentenced to five years in prison, reduced to three years and nine months after the 36-year-old previously pled guilty to drugs offences. McEwan was the subject of a joint investigation involving Forth Valley Proactive CID, Border Force and the National Crime Agency after he was identified as being involved in importing Class B Drugs Methylethcathinone, Pentedrone and Clephedrone into the UK from China between January and November 2014. Border Force agents intercepted eight packages that were due to be delivered to a business premises in Stirling where 34-year-old Andrew Jones would then take delivery of them. Jones has already been sentenced to three years and six months for his involvement. In total, over six kilos of the drugs were recovered with a maximum street value of around £132,000. 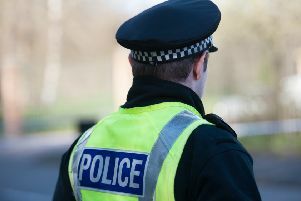 Detective Constable Gillian Rennie from Stirling CID said: “The drugs being imported from China were due to be distributed within the local communities across Forth Valley, where they could do untold harm. “As a result of this collaborative investigation both Jones and McEwan were arrested for their involvement, with both having received significant custodial sentences. “Tackling drug crimes remains one of our top priorities and whenever we receive intelligence relating to such offences we will dedicate the necessary resources to identify those involved and bring them to justice.